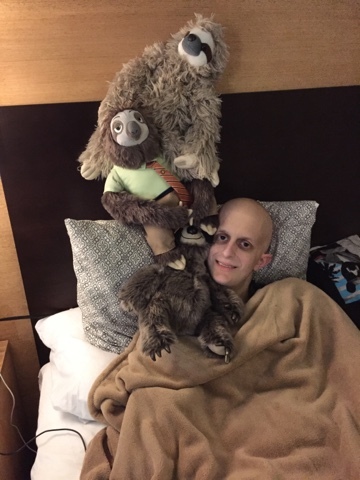 Robbie is finally out of the hospital and relaxing at the hotel. He got more cards today including a card from one of my mother’s friends. So sweet. We met with Dr Ratan and Robbie will have 4 more rounds of chemo. Glad he is out of the hospital. 4 more rounds of chemo doesnt sound like any fun. at least you know the chemo he has already had worked. I was hoping for less chemo. I didn't realize that some people with poor response would have 8 more rounds.